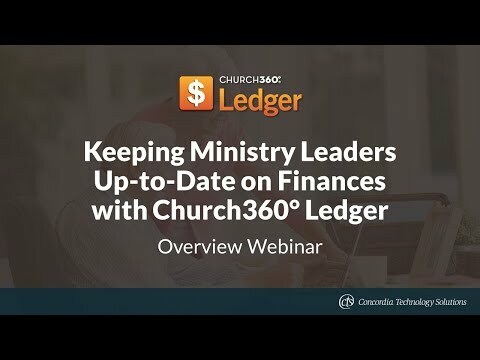 Recorded with church treasurers in mind, our customer onboarding specialist gives an overview of Church360° Ledger and goes over basic accounting principles, account types, church financial records, users, and reports. 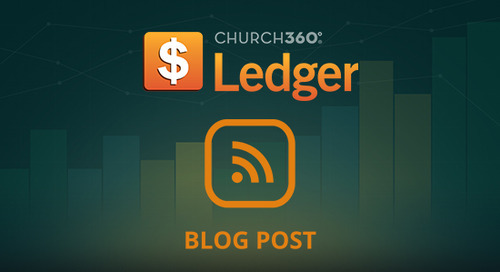 This week, we’re rolling out a brand new help system in Church360° Ledger called the Information Center. 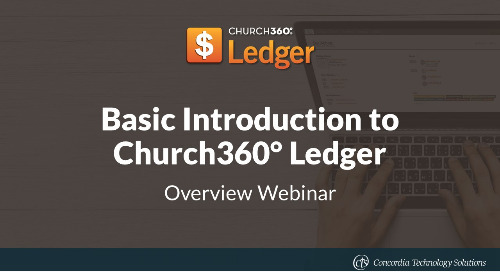 This overview training walks attendees through the basics of Church360° Ledger and describes all essential functionality. 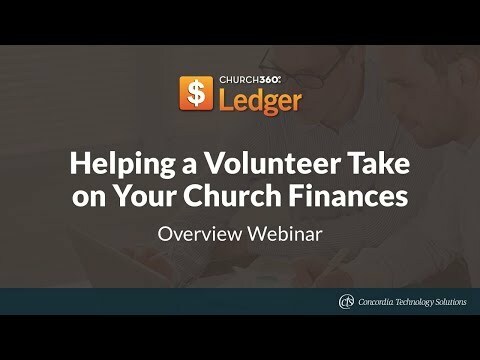 Getting started as a church treasurer can be daunting. 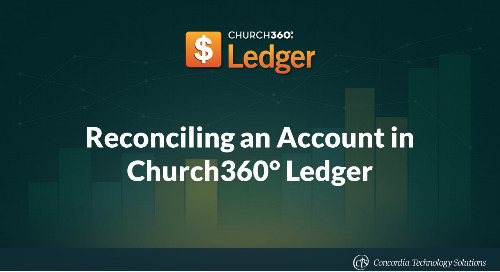 Learn how you can use Church360° Ledger to ease your church’s new treasurer into their role. 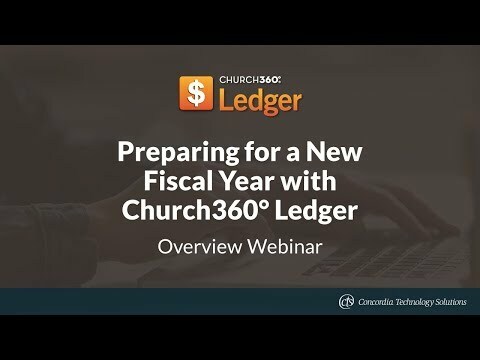 This webinar cover how to create new reports, how to refine them, and how to save, download, and print what you've created. 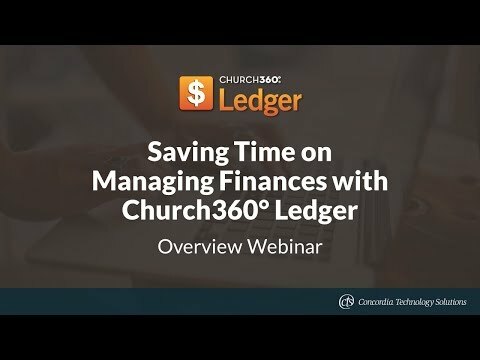 It's easy to set up your budget in Church360° Ledger! Join us for this free webinar to learn how to do it. 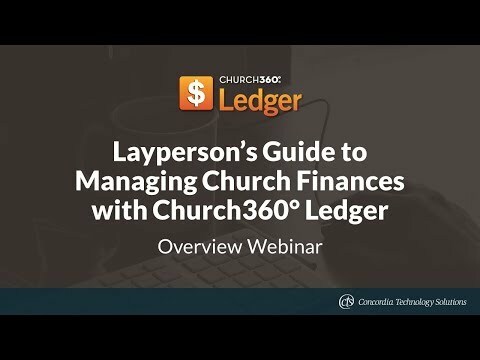 This training webinar goes over the basics of writing checks, as well as the best practices on how to manage your payees in Church360° Ledger. 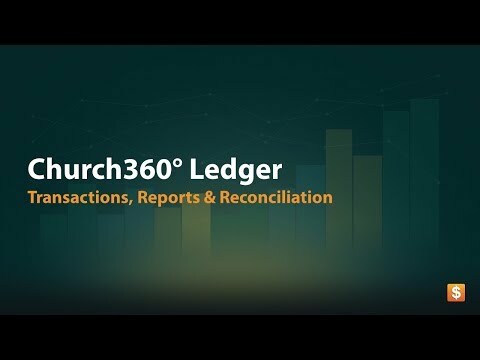 Learn all about entering transactions into Church360° Ledger during with this recorded webinar! 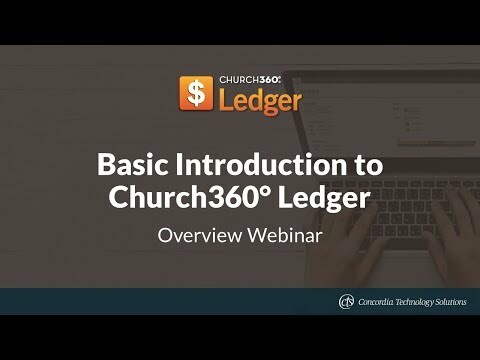 We covered the basics of when and how to use each type of transaction. Learn how to set up your church's chart of accounts in Church360° Ledger.